But it wasn’t always this way. At many points over the decades, local musicians sensed the need to depart to more mature music-biz capitals like Hollywood, New York, or Nashville to make their recordings. Sure, by the 1940s Seattle & Portland each had a few studios emerging – & by the 1950s and ‘60s some of them began producing the occasional hit record, & by the 1980s-‘90s Grunge Rock uprising some of our studios & engineers even forged a powerful aural aesthetic that wowed the world. But, way-back-when – at the very dawn of the recording industry – the Northwest had no sound studios whatsoever. So, it was pretty big news when one of the town’s top dance-bands did get a chance to cut a disc that would be released by a major label. 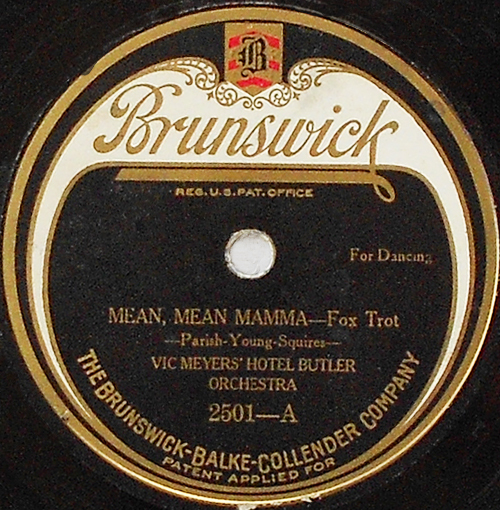 That band was the Hotel Butler Orchestra, as led by the irrepressible Victor “Vic” Meyers (1897-1991). The band had been attracting Seattle’s collegiate dance crowd to their perch at the hotel’s Rose Room (at Second Avenue & James Street). This was at about the midpoint of the Prohibition Era (1916-1933) and the Rose Room was one of the most prominent / infamous speakeasies in Seattle – a place where guys in raccoon coats & their flapper dates danced the foxtrot, & sipped illegal booze well into the wee small hours. But the place was hardly a secret: Seattle’s social/political elite also reportedly enjoyed attending – & Meyers would famously tip everyone off to impending liquor raids by signaling his band to stop playing whatever song they were on & instead shift to the refrain of “How Dry I Am” while all the evidence was poured down kitchen drains. But even though these periodic raids were occasionally successful (with as many as 150 attendees hauled off to jail on one particular night), it took many years for the clampdown to have any real effect. 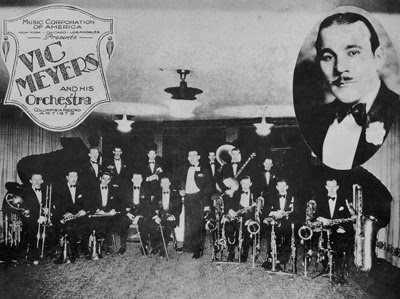 Meanwhile, it was at the Rose Room where a visiting field agent from the big-time Brunswick record company discovered Meyers’ band one night. It seems he liked what he heard & signed them to a recording contract. Then, it was on June 13, 1923, when The Seattle Daily Times noted that the orchestra “will soon make phonograph records for the Brunswick Company” – & sure enough, that summer a mobile recording crew rolled into town on their first-ever West Coast field trip & set up their gear (valued at a reported $18,000) in the room. In essence, that Brunswick team proceeded to conduct, on August 21, 1923, what would be the very first professional recording session in Seattle’s history. And the result was the band’s debut single, “Mean Mean Mamma” / “Shake It and Break It” [Brunswick 2501] – the first of many discs they would record for Brunswick & various other labels over subsequent years.